My addiction to anything Asian (as well as Shiira’s addiction) started when a local channel in the Philippines broadcasted Meteor Garden. They were the first F4 boys! 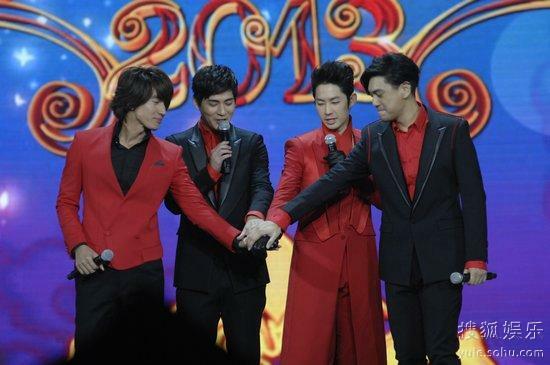 Among the 4 gorgeous guys, Zai Zai – Vic Zhou (to me) was the one that stood out. I found some news about Zai Zai (well its not that new, but its an update of what he is doing). He is currently shooting a new drama with Fan Bing Bing. The title of the drama is The Last Night of Madam Chin.I’m not sure what the story is about but Zai Zai will be playing one of the 3 men in the life of Madam Chin. This, according to my source, is one of the most awaited dramas this year (I assume most awaited in China/Taiwan). I found some pictures on asianfanatics about for the drama..
waah! I can’t wait for this drama..